Researchers say genes located in a large chromosomal aberration associated with autism interact with each other to modulate the variable symptoms of the disease. A Penn State–led team tested the role of these genes individually and in tandem by reducing the amount of the genes expressed in a fruit fly model. Their study (“Pervasive Genetic Interactions Modulate Neurodevelopmental Defects of the Autism-Associated 16p11.2 Deletion in Drosophila melanogaster”), which appears in Nature Communications, demonstrates the utility of the fly as an experimental model for understanding the complex causation of human neurodevelopmental disorders and identifies potential targets for therapeutic treatment, according to the scientists. “As opposed to syndromic CNVs [copy number variations] caused by single genes, extensive phenotypic heterogeneity in variably-expressive CNVs complicates disease gene discovery and functional evaluation. Here, we propose a complex interaction model for pathogenicity of the autism-associated 16p11.2 deletion, where CNV genes interact with each other in conserved pathways to modulate expression of the phenotype. Using multiple quantitative methods in Drosophila RNAi lines, we identify a range of neurodevelopmental phenotypes for knockdown of individual 16p11.2 homologs in different tissues. We test 565 pairwise knockdowns in the developing eye, and identify 24 interactions between pairs of 16p11.2 homologs and 46 interactions between 16p11.2 homologs and neurodevelopmental genes that suppress or enhance cell proliferation phenotypes compared to one-hit knockdowns,” write the investigators. Many neurodevelopmental disorders, including autism, schizophrenia, and intellectual disability, are associated with deletions or duplications of relatively large regions of chromosomes that contain many genes. These deletions and duplications result in individuals having a different number of copies of the genes contained with them. This CNV can result in developmental defects and neurodevelopmental disorders because an individual may have too much or too little of a particular gene. The researchers focused on a large deletion on chromosome 16 that spans over 500,000 base pairs and was first discovered in individuals with autism. This deletion encompasses 25 individual genes and has subsequently been associated with epilepsy, intellectual disability, and obesity. 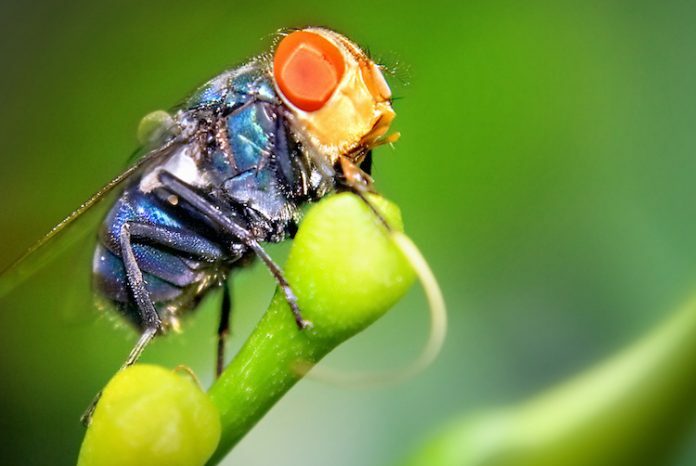 “Although we only tested the 14 fly counterparts of the 25 human genes, our results suggest a model that can be applied to the overall mechanism of disease caused due to this deletion,” added Janani Iyer, Ph.D., a postdoctoral researcher in the Girirajan lab and an author of the paper. Using RNA interference (RNAi), the researchers first tested each of the individual genes in the chromosome 16 deletion that have counterparts in the fly. The researchers then chose the four genes with the most severe effects in the individual tests and tested them in combination with each of the other 13 fly counterparts of the human genes in the chromosome 16 deletion. They also tested the interaction of these four genes with 50 other genes known to play a role in neurodevelopmental disorders from elsewhere in the genome.